Such a pleasure to be presenting and signing my books with other local authors for this monthly Alzheimer’s Nevada fundraiser. 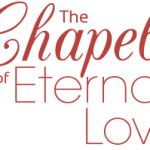 While I will be presenting and signing copies of my cozy murder mystery, Murder Aboard the Queen Elizabeth II, I will also have on hand for signing, copies of The Chapel of Eternal Love-Wedding Stories from Las Vegas and Return to the Chapel of Eternal Love-Marriage Stories from Las Vegas. Sharing the program will be the very talented authors Nancy Nelson (Third Harvest: Blue. River. Apple. A Caregivers Orchard), Jennifer Battisti (Echo Bay), Darlien Breeze (Beware of Redemption), Angela Brommel (Plutonium and Platinum Blonde), Robert Cawley (Treasure of La Dura – presented by Rena Winters) and Eric James Miller (For Rent: Dangerous Paradise). As always, staff from Alzheimer’s Nevada will be on hand to discuss, at no charge, any concerns attendees may have about their families and loved ones.